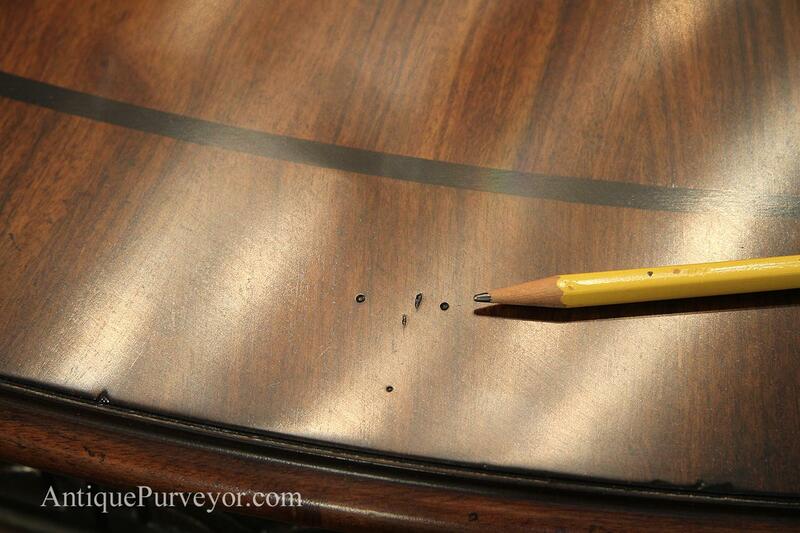 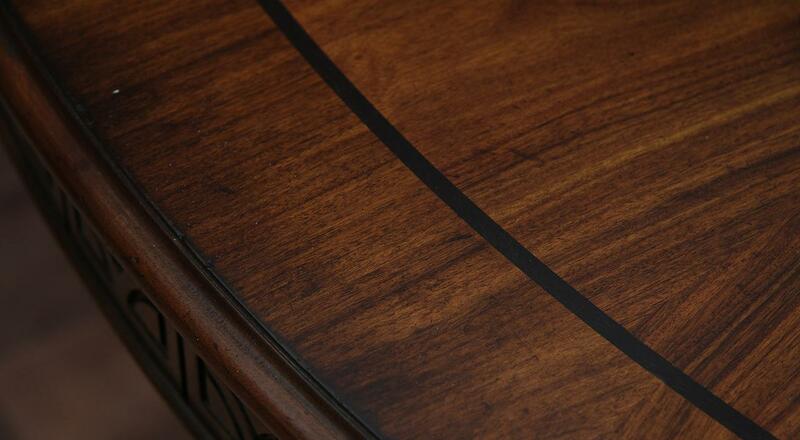 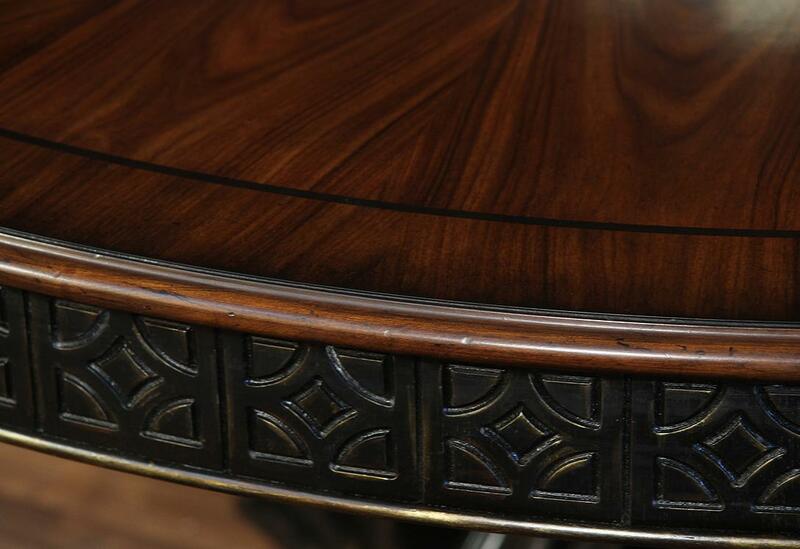 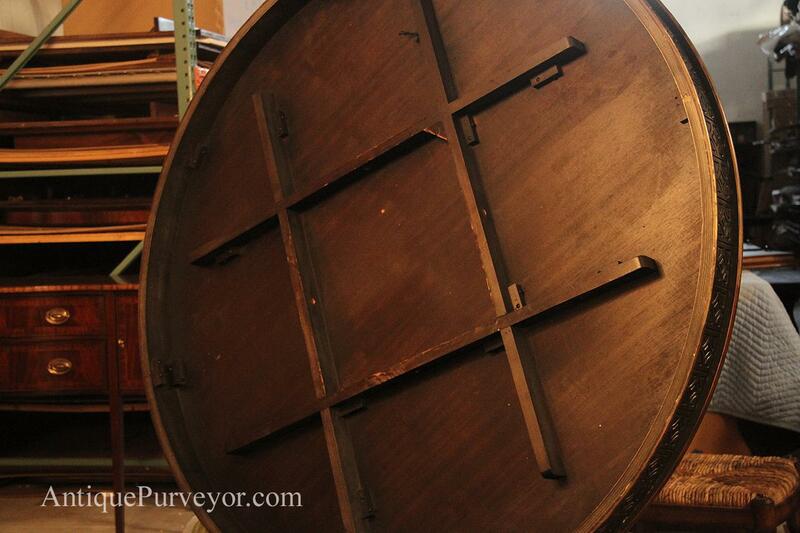 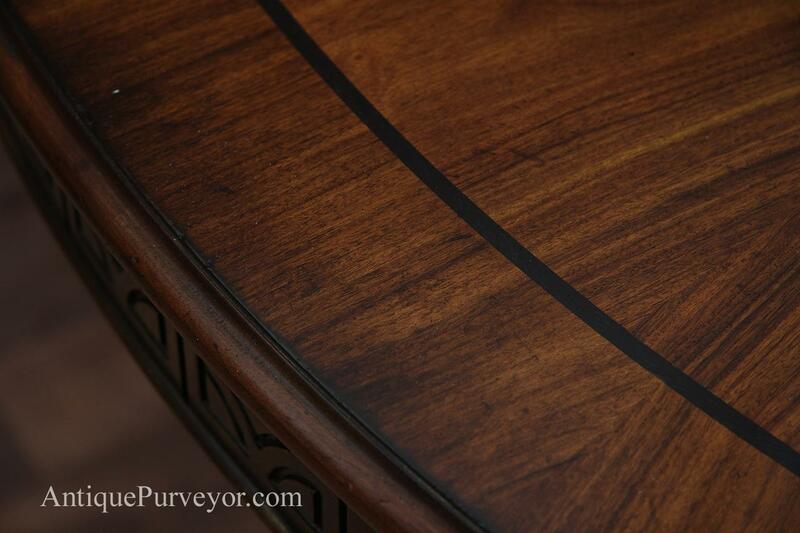 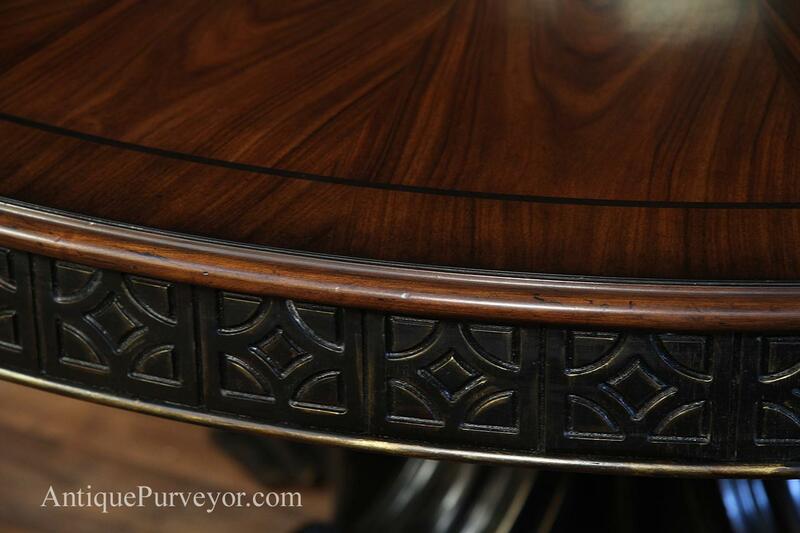 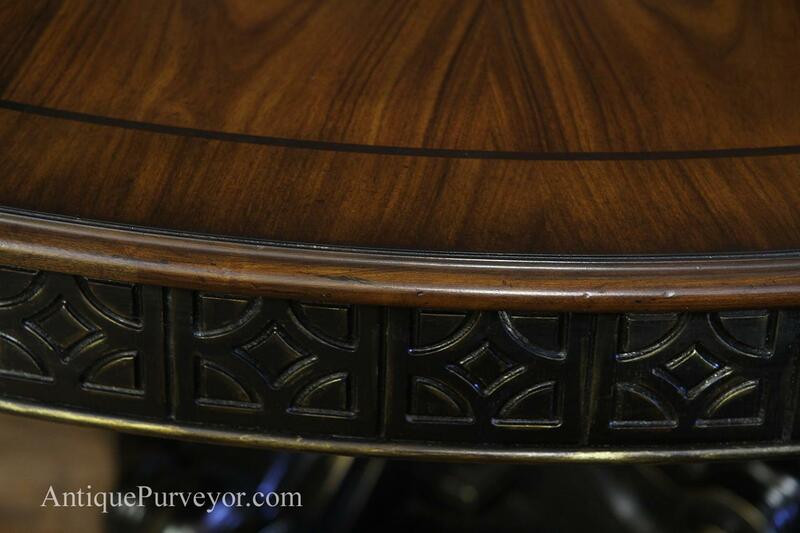 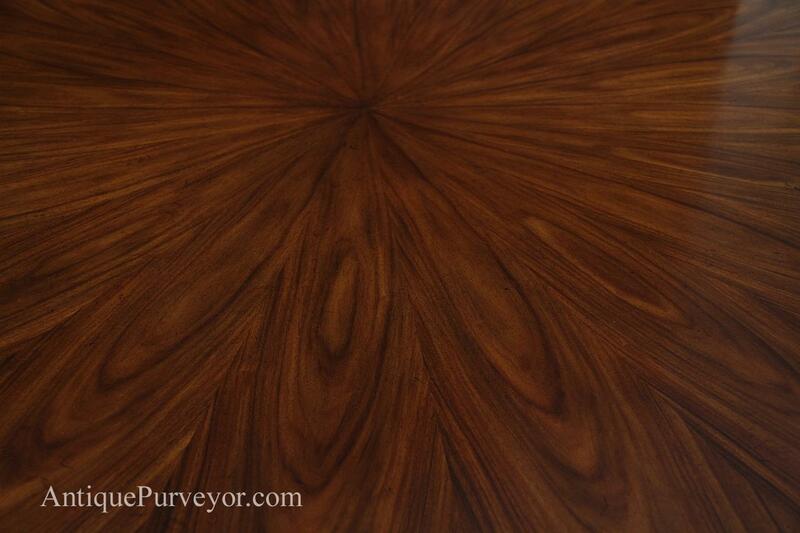 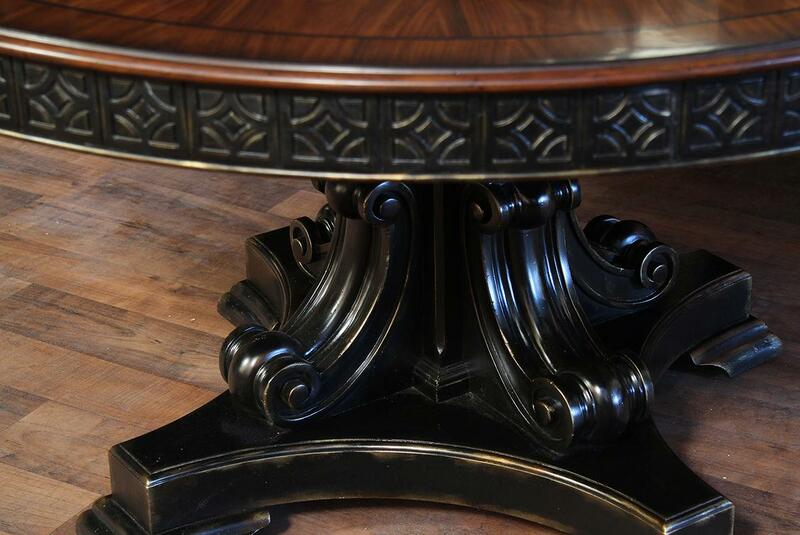 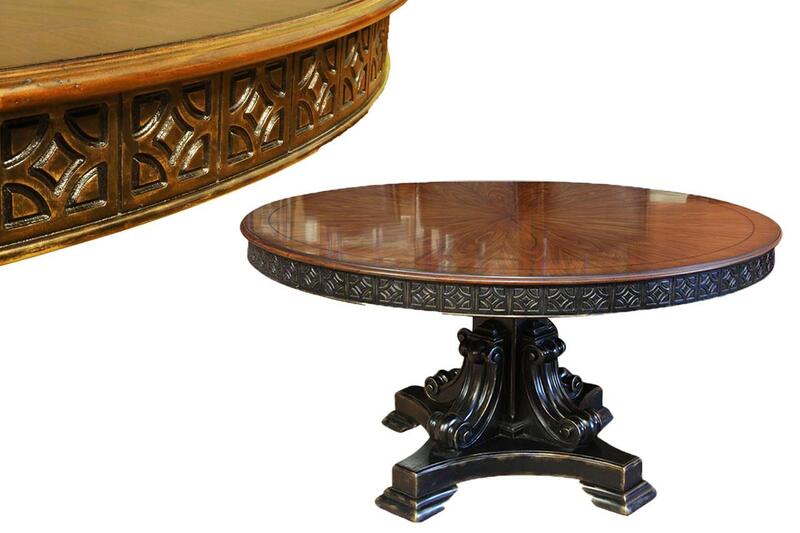 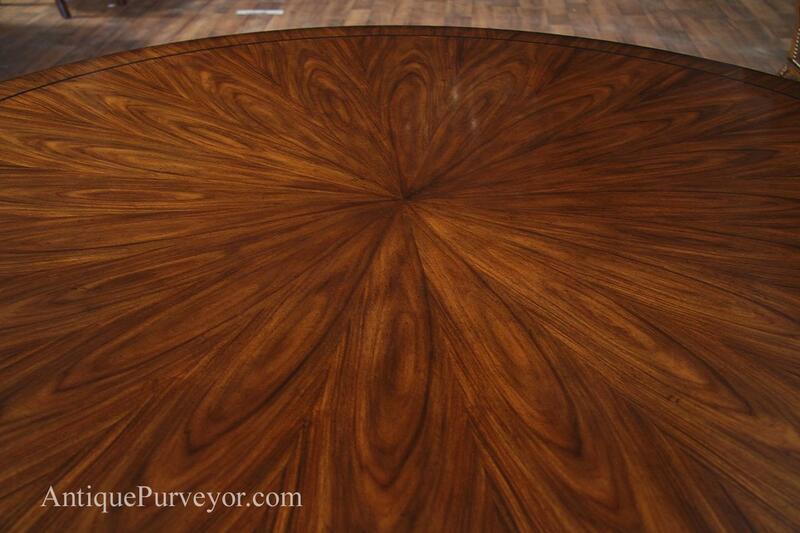 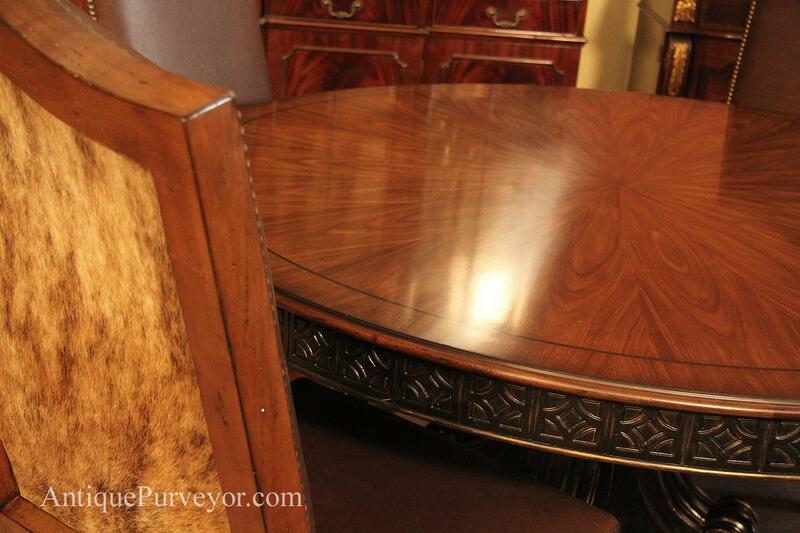 Antique reproduction 60 inch round walnut finished table with black and gold accents. 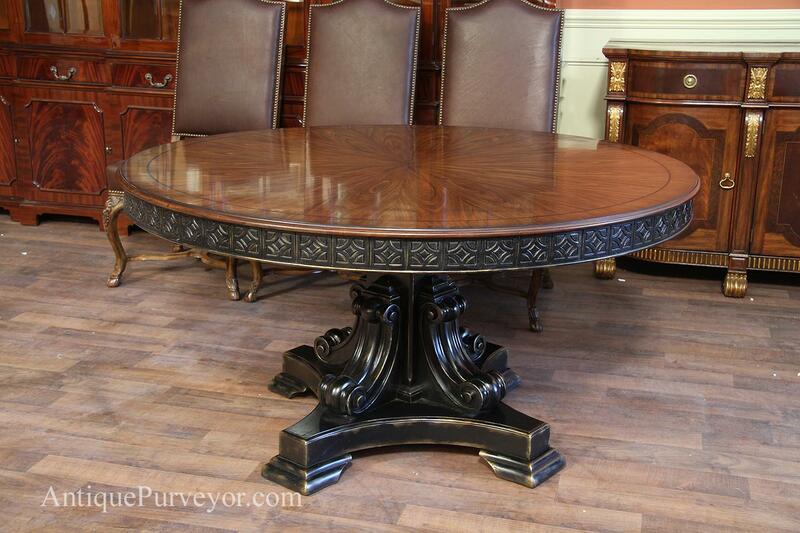 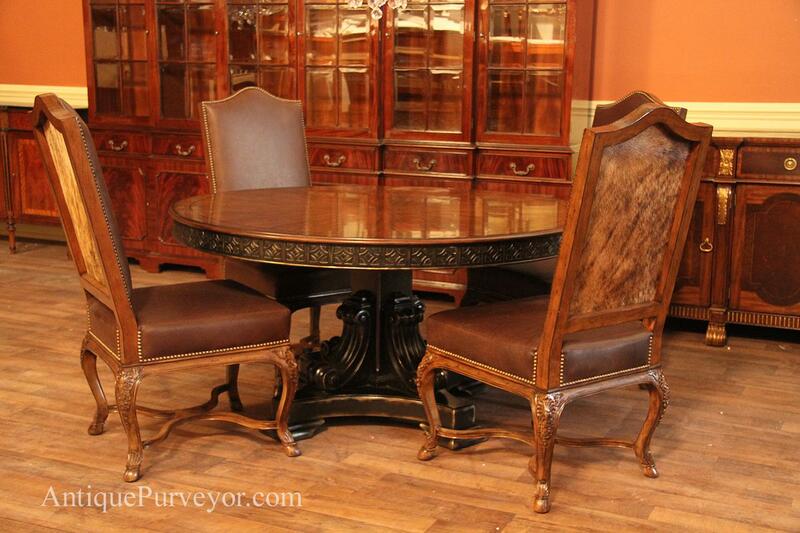 Walnut finish 60 inch dining table with carved apron and Spanish style accents and base. 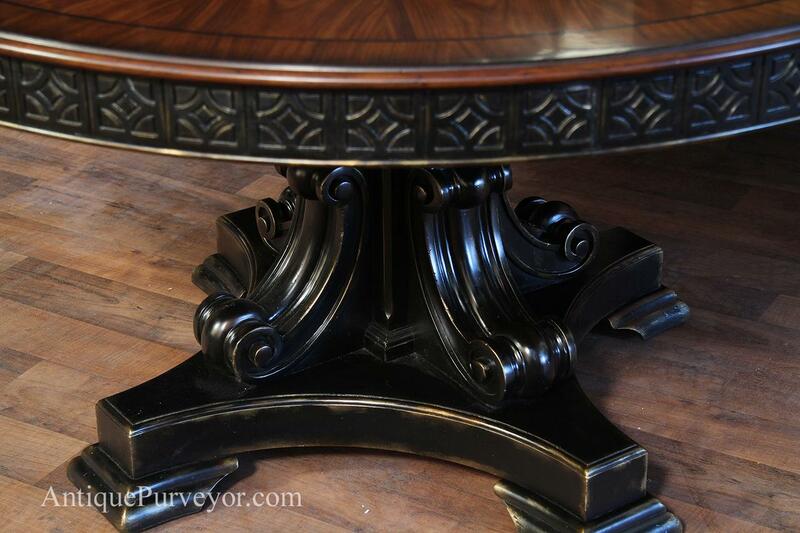 Heavy architectural features makes this base attractive and very sturdy. 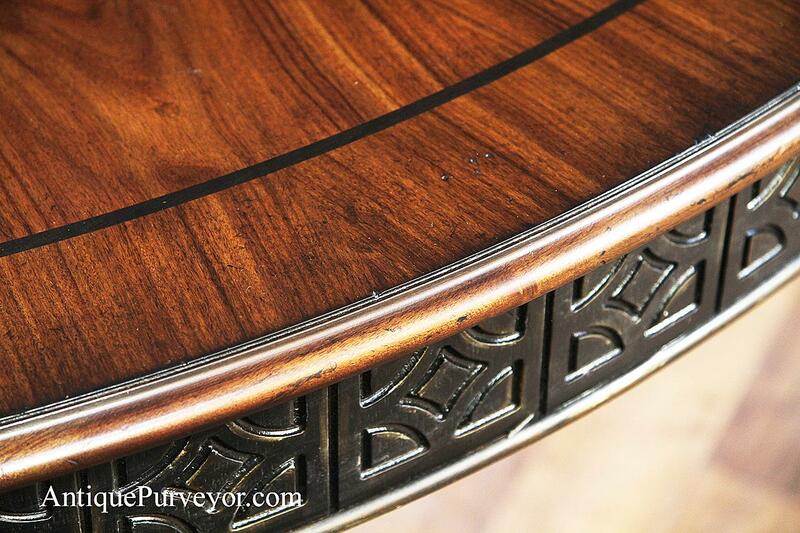 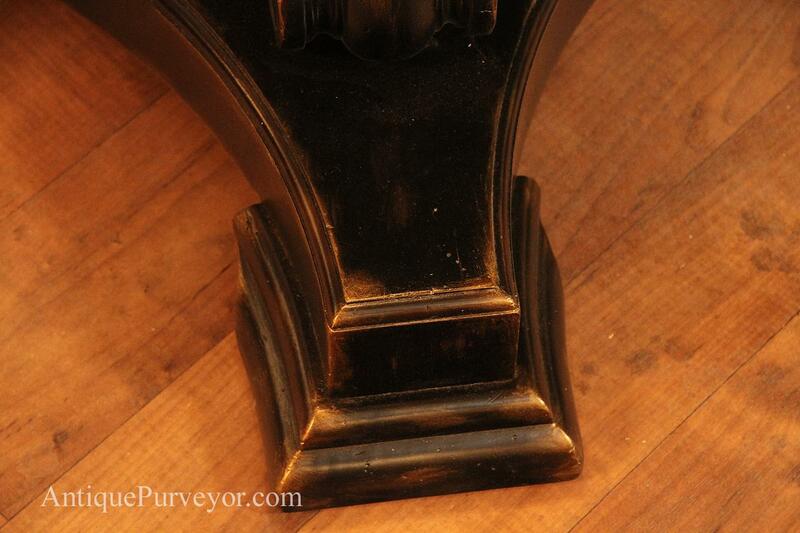 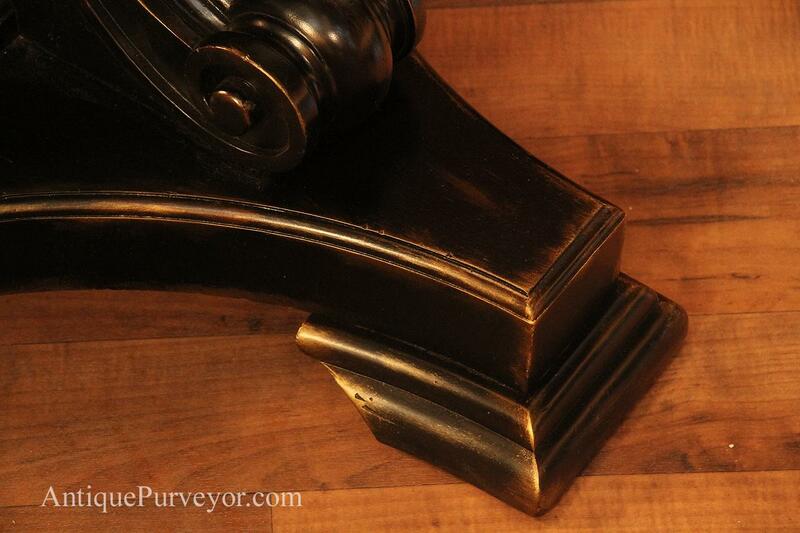 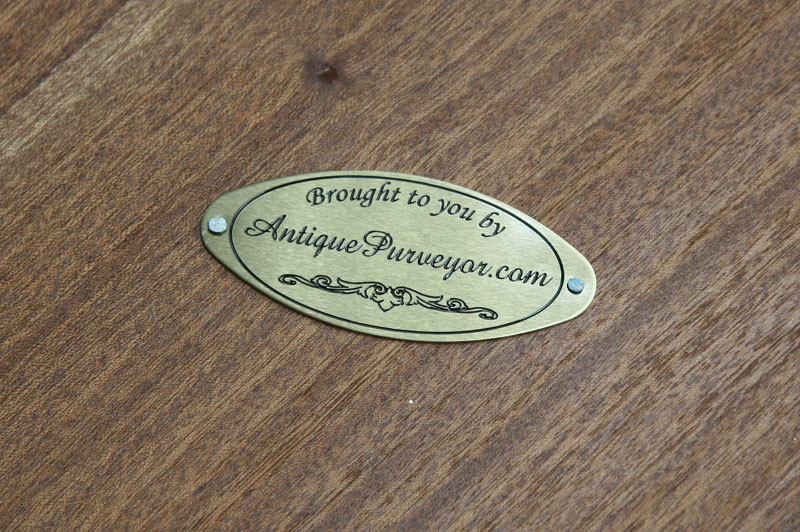 Edge of table is toned and and faded with darker colors to give the table an older look. 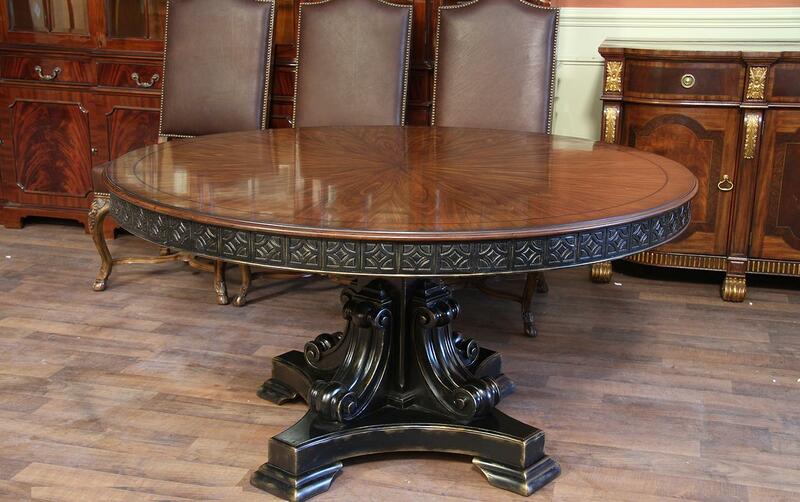 Description: 60 Inch round walnut pedestal table with black and gold Alhambra finish. 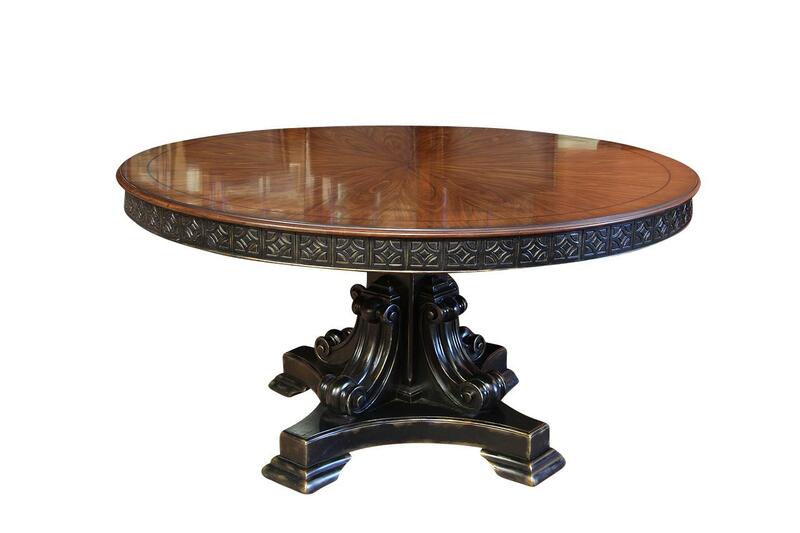 Extra wide plume base pedestal holds this table sturdy. 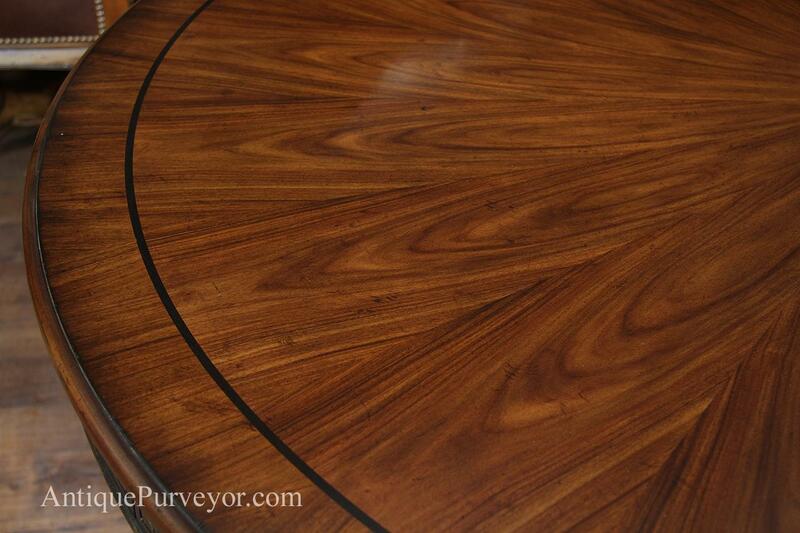 Matte finished medium walnut field perfect for everyday use. 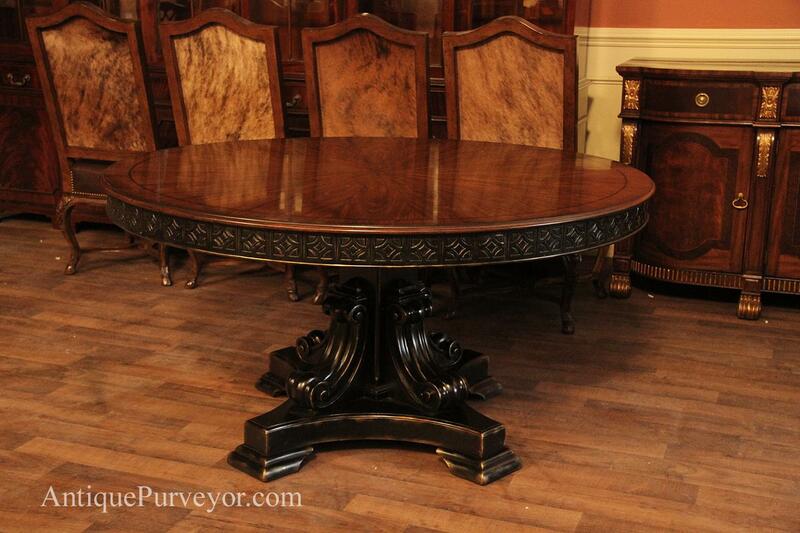 Great for formal or casual space, this designer table will coordinate with many traditional chairs. 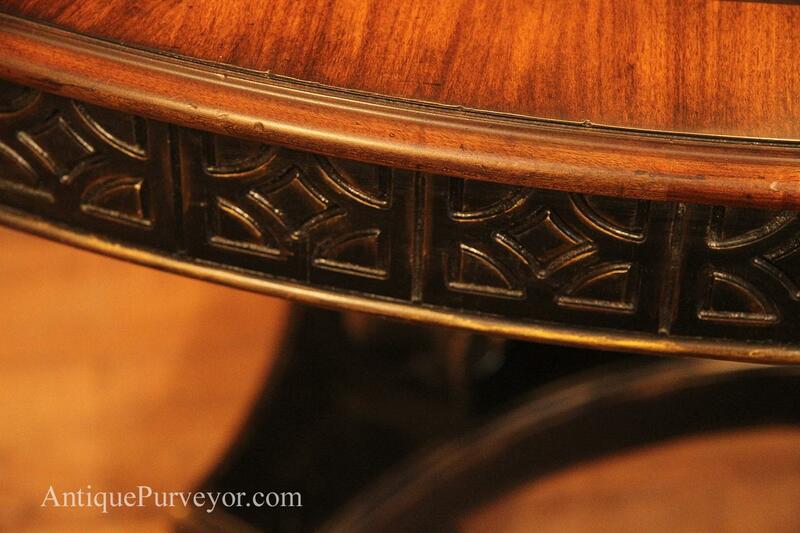 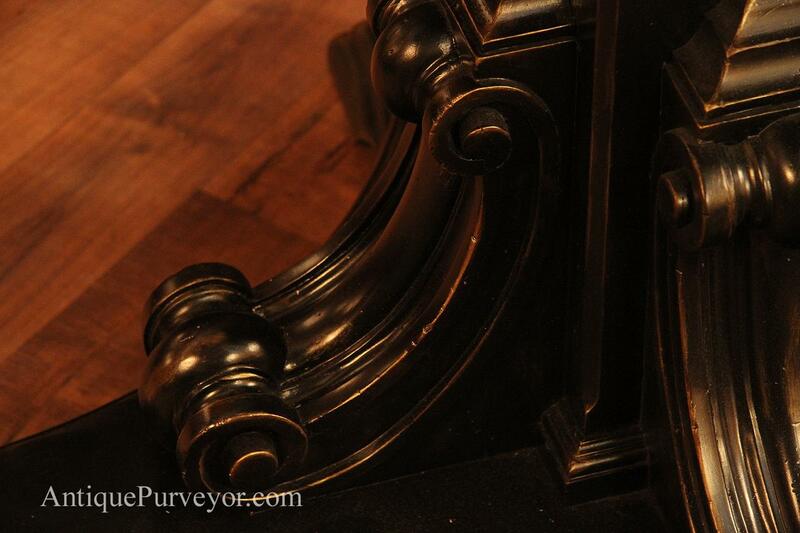 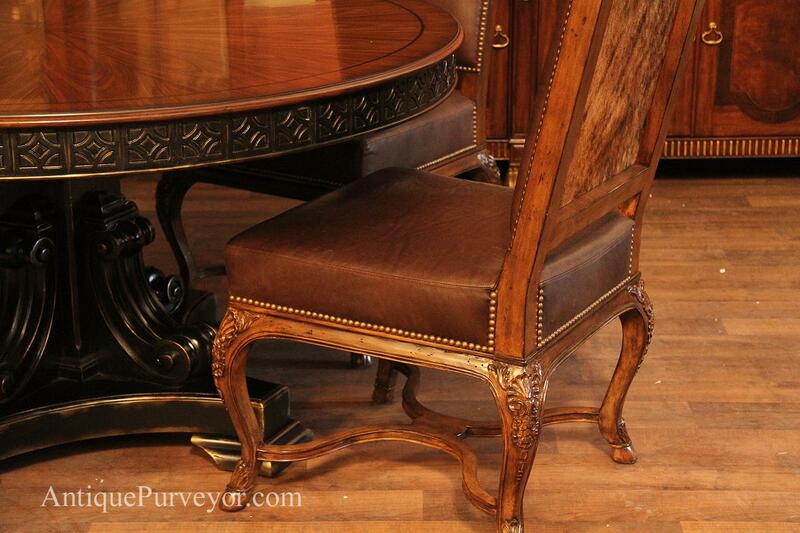 Fancier carved apron gives this table a designer look. 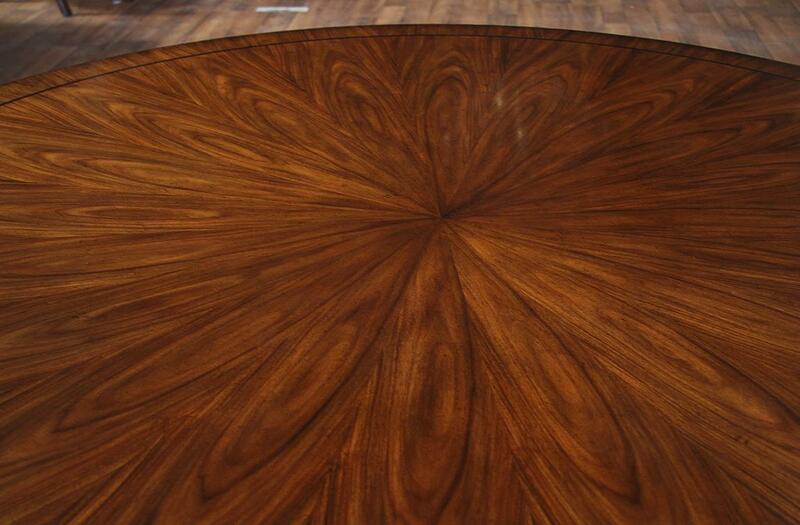 Made in Phillipines, very good quality table. 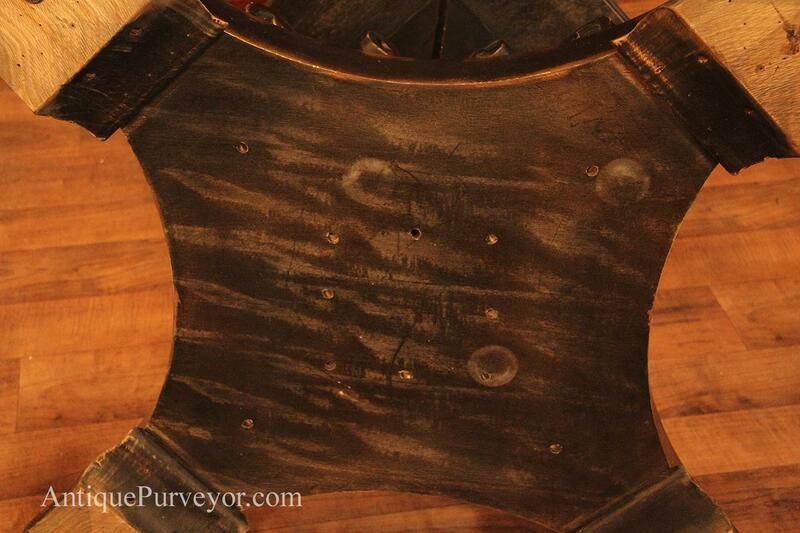 Heavy, sturdy and appropiate for real life traffic.